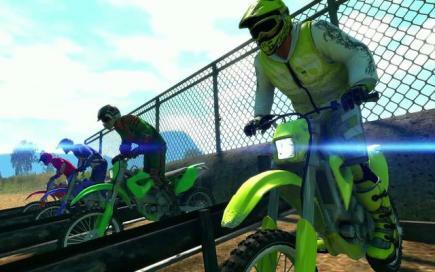 Trials series is a driving game that has managed to sold over four million copies. Now comes a new release, Trials Evolution: Gold Edition for the PC also enjoy, with lots of action in the arcade-style, a game with which it is impossible not to have fun. The philosophy of this game is simple: to bring our bike from point A to B and do it as fast as possible over the obstacles we encounter on our way. And it will not be an easy task, as the channels through which circulate are very demanding and require great skill by the player. We will have to avoid obstacles, overcome dangerous holes in roads meet, make impossible leaps … And all at breakneck speed. In addition to the highly competitive, this game also leaves a space for humor, and in many scenes we will start a smile. Audiovisual level Trials Evolution: Gold Edition is a well determined. The scenes and characters on the screen are visually very attractive, with lots of variety in color and nothing repetitive. The bikes and the characters are customizable (types of helmet, overalls, gloves …) and we can change the overall look by investing the money we get in the tests in which we compete. Its have an extensive single player campaign, with a variety of circuits and up to eight levels of difficulty, plus an attractive multiplayer both locally and online. It’s ultimately to a very interesting title that fans should not miss the motorbike competitions.